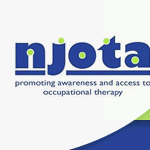 AOTA advances occupational therapy as the preeminent profession in promoting the health, productivity, and quality of life of individuals and society through the therapeutic application of occupation. Nationally certified, NYS licensed Acupuncturist and certified ionCleanse practitioner with experience in the healing arts. Delicious, nutritious, and informative! Learn about the 8 common food allergies, how to detect them, and recipes for everyone to enjoy.